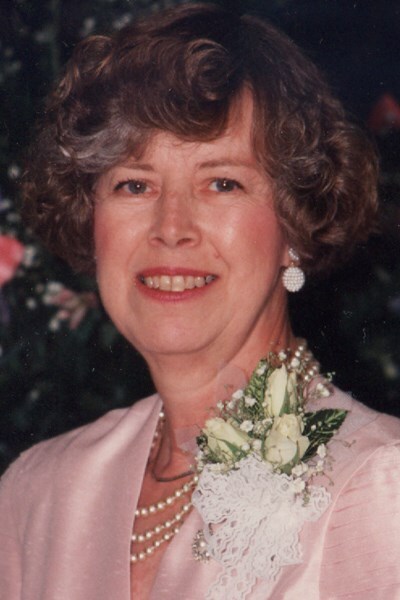 Betty Ann Lee-Buck of Johnson City died on July 7, 2011 after a lengthy illness. She was married for 55 years to the late Guy C. Buck and was the daughter of the late Robert "Bob"? and Eva Lou Guffey-Lee of Elizabethton. Mrs. Buck was a 1951 graduate of Elizabethton High School and a 1952 graduate of the Steed Business College. She worked as a medical transcriptionist for the Gordon, Ruffin, Hillman and Miller Obstetrics & Gynecology Clinic for more than 30 years. She was also a Girl Scout Leader in her community, serving more than 50 scouts and was a member of the Unaka Avenue Baptist Church for 50 years. She enjoyed cooking and baking for others and sewing as a hobby. In addition to her parents and her husband, she was also preceded in death by her brother, Harold G. Lee. Survivors include three daughters: Debra Bacon and son-in-law, David, of Elizabethton; Vickie Buck of Piney Flats; Kara Farris of Elizabethton; two grandchildren, Savannah and Jack; one sister, Nancy Lee Bullock and her husband Curtis of Elizabethton; and also two nephews, Chris Bullock and his wife Stephanie and their daughter Kaylee of Jonesborough and Curtis Bullock, Jr. and his wife Jessica of Elizabethton. Many thanks go to the Medical Center Hospice, especially Pam, Megan, Sarah Cooper, Cindy and Shawna for caring with compassion.Special thanks go to Unaka Avenue Baptist Church for their caring and help and to special caregivers Glenda, Shirley and Sissy.Special thanks go to Kristy Davenport and Staff from Encore Salon. Graveside services will be conducted at 10:30 am Saturday, July 9, 2011 from Happy Valley Memorial Park in Elizabethton. Pastor Ronnie Mitchell will officiate. Pallbearers will be Chris Bullock, Curtis Bullock, David Bacon, Buford Stone, David Carper and Todd Stone. A procession will leave the funeral home at 10:00 am on Saturday for the cemetery. The family will receive friends at the funeral home from 6:00 until 8:00 pm Friday. Just wanted to let you girls know that you will be in my thoughts and prayers during the next few days. I know this is a bitter-sweet time for all of you. On the one hand knowing that your precious Mother is now in a perfect place where there is no suffering, but also dealing with the tremendous feeling of loss on the other hand. As we said today, nobody ever loves us like our Moms! It was my privilege to get to be of service to your family during these very difficult moments. Please let me know if I can be of further assistance. God bless! My name is Becky Barnes Miller I was so sorry to hear of your mothers passing. I had known Betty for many yrs. and she will not be forgotten for the kindness she shared. I knew your father also for many yrs we served in the JC Homebuilders I also found Guy to be a very soft spoken man. I KNOW the comfort of knowing both of your parents are joined together for everlasting life. Time will help with the loss and pain but the lord know best. GOD IS GOOD!!! Always cherish your loving memories..